"[Blake] writes a believable, emotionally satisfying romance that relies on realistic characterizations rather than supermodel good looks, fashion, and standard plot devices. It's a refreshing change from the far more common standard romances that so often become formulaic, and the well-integrated literary references are a bonus. A smart, satisfying romance." "Debut author Blake puts the teens in a near-impossible situation, adeptly showing how Sam and Hadley can be more adult in handling the complications of romance than all four of their parents . . . 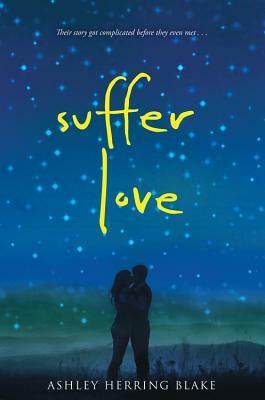 Readers will be left thinking about the ways love can both hurt and heal." "A strong choice for YA collections, especially where romance is popular." "Sam and Hadley are appealing and engaging characters, especially when Hadley devastatingly, sympathetically learns the truth. Blake doesn’t opt for the easy, happily-ever-after ending, instead emphasizing that relationships are work and need to be handled with care."